How dentures from your dentist in Macon, Georgia can make you smile again. If you missing teeth, it may be time to give yourself a whole new smile with dentures. Today’s dentures combine both strength and aesthetic beauty to make you smile again. You can look great and feel great again, all with the right denture. Dr. Clinton Watson and Dr. Nicole Jackson at Northside Family Dentistry in Macon, Georgia want to share what dentures can do for you and introduce you to different types of dentures. Immediate dentures which are placed right after tooth extraction; with immediate dentures, you never have to go without teeth. 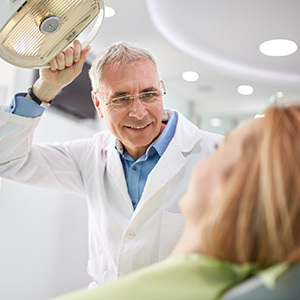 A permanent denture will be made after your tissue has healed. Conventional dentures which are placed after your tissue has healed completely from dental extractions; with conventional dentures, you only have to get used to wearing one set of dentures. Overdentures which are snapped in place over dental implants or retained tooth roots; with overdentures, you retain bone support and strength. Transitional partial dentures which you wear if you are planning on dental implants at a later date; transitional dentures are inexpensive but are not meant as long-term tooth replacement. Removable partial dentures which are much more durable than transitional partials; removable dentures are made to last and are comfortable to wear. Give yourself a whole new smile with the right denture! You can transform your smile and your life. Get back your self-esteem and confidence by giving yourself a new smile. It’s time to call Dr. Clinton Watson and Dr. Nicole Jackson at Northside Family Dentistry in Macon, Georgia. Northside Family Dentistry is “the place where smiles are made” so call today!